Detox & Glow | Two Summer Time Skin Favorites ft. The Savannah Bee Company! It's summer time and your skin is probably begging for a little extra TLC . Between the sun, the sweat, the heat, and the beach, we could all use a little extra help in that department. I'm not gonna tell you to drink more water. I'm not gonna tell you to wash your face before bed. I'm not gonna tell you to wear your sunscreen. Why? These things are key, no doubt, but I'm sure you've been there, read that, heard that, do that. So broken records aside, let's get to the fun stuff; the products! Keep on reading to discover my two favorite routine add-ins that have been keeping my skin game strong all season long! 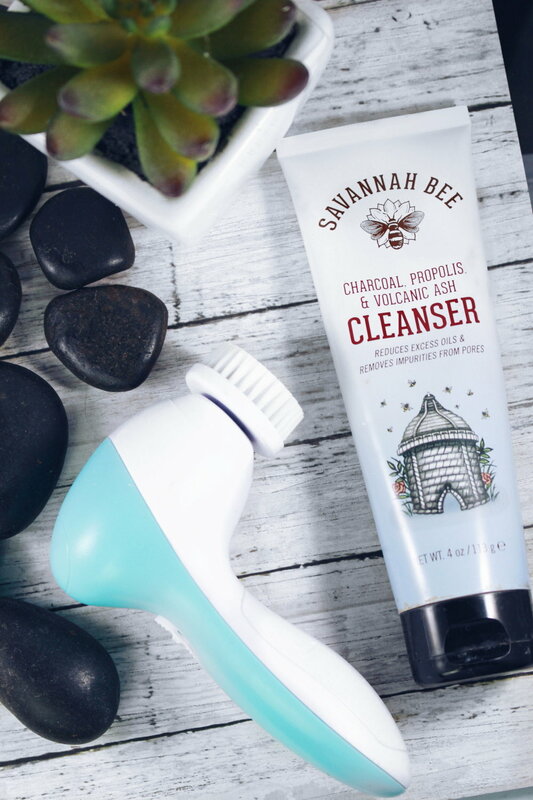 To give my skin a wake up from my usual cleanser, I've been loving this charcoal cleanser from Savannah Bee Company. I switch it out whenever I feel my skin needs a deeper clean (like when I've been wearing more makeup than usual or when it's just extra hot & humid outside). 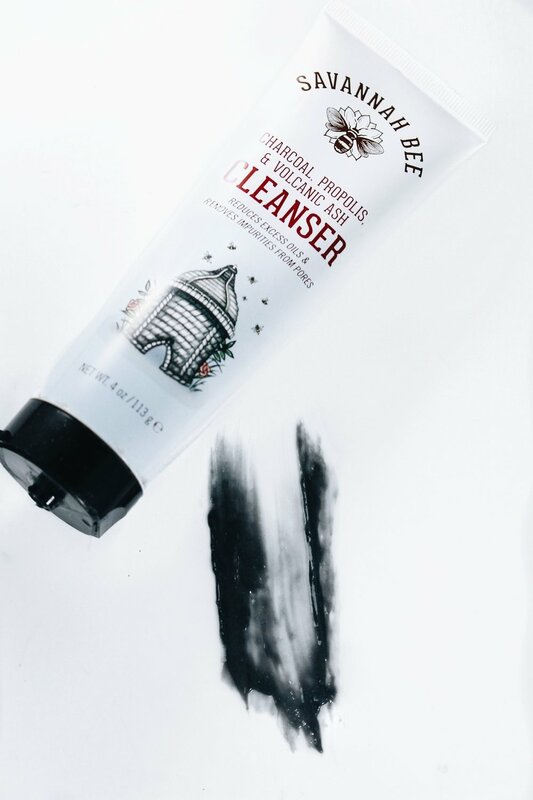 The charcoal and kaolin clay work to draw out toxins and oil, but leave my skin clean, refreshed, and balanced, not stripped and tight! Savannah Bee Company uses real hive ingredients in their beauty products like propolis, which is made by bees to protect & sterilize the hive but is also fights bacteria when used in skincare, as well as - you guessed it - honey! Click here to check out more of their beauty products! Sometimes hand-washing your face just doesn't cut it after a day's worth of makeup & oil. 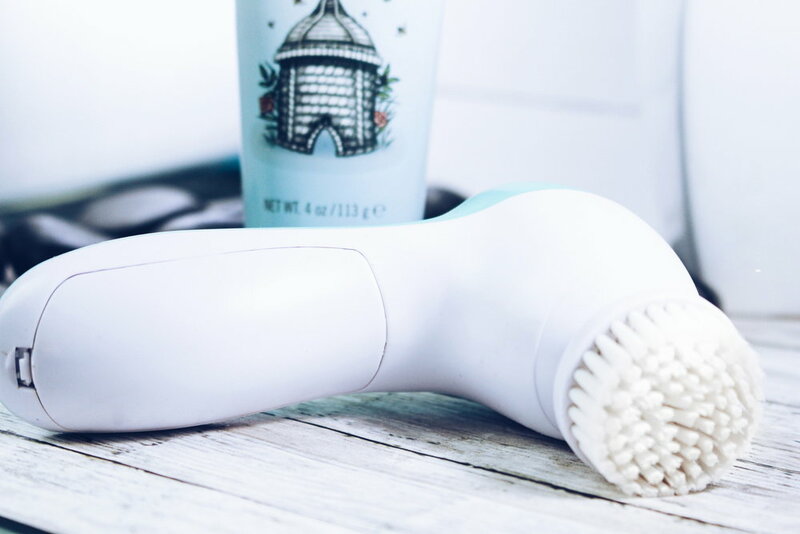 I never realized how much product I was leaving behind until I started using this facial brush. Even if you use it just a few days out of the week, it will make a world of difference in the texture and tone of your skin! I'm so impressed with this one for the price I got it for - the brush head spins, the bristles are quality, and is so lightweight and easy to clean! And let's be real, I wasn't about to go spend hundreds of dollars on one. I came across this do one at the drugstore which does virtually the same thing as the more expensive options while saving you tons of $$ at the same time! Use it with your favorite cleanser or the one above, and your skin will be thanking you! So take care of yourself, treat your skin, and consider adding in these 2 products to your routine! Here's to happy, healthy and glowing skin this summer and all year round! Do you have any skin faves atm? Use hashtag #clotheinconfidence on Instagram and share them with me! Winter Skin Saver | Liquid Oxygen's New Hydrating Facial Lotion! Formulate Personalized Haircare | What It Is, What I Think, & How You Can Join The Movement!